A grilled cheese sandwich is classic comfort food and it’s enjoying an incredible resurgence in popularity. 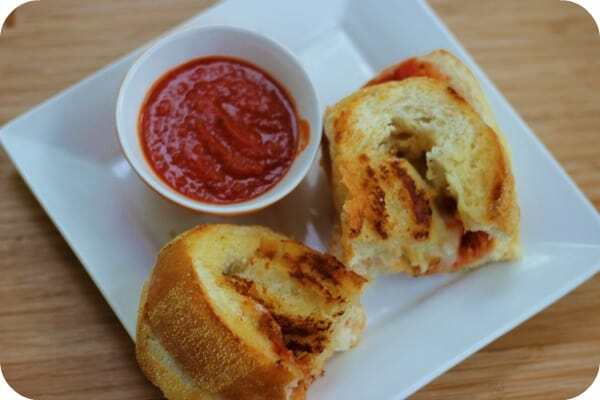 These fabulous recipes all begin with the grilled cheese we all know and love, and then from there, creative twists showcase just how incredibly versatile this sandwich can be. The recipes reflect an almost endless and delicious variety of choices that include simple and timeless as well as gourmet and artisanal. From breakfast to dessert, there’s something for everyone in this book. The most requested food item in our house is the grilled cheese sandwich. John and my kids love them and they are always a quick and easy fix for lunch or supper. In fact, John tells me all the time that I make the best grilled cheese ever and he doesn’t know how I do it. I guess when he makes them he always ends up burning them. 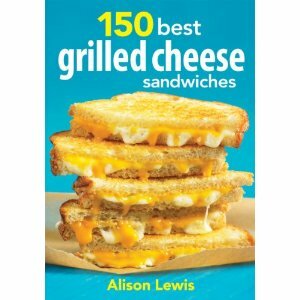 I knew he would love my new cookbook, 150 Best Grilled Cheese Sandwiches by Alison Lewis. I love to experiment with different flavours and its fun to mix things up a bit. My motto is you won’t know you like it until you try it! I love the wide variety this book provides. Most of the recipes I would be interested in trying out and included ingredients I would have never thought to include in a grilled cheese sandwich! I love the sound of the Grilled Salmon & Gruyere sandwich and the Grilled Zucchini & Cilantro Pesto. However, once I saw the Lasagna Grilled Cheese I knew I had to try it. It was so easy to make and tasted amazing! Unfortunately I can’t share the recipe, but I did take these pictures to show you what it looked like. I also liked that the ingredients listed in the recipes were ones that I recognized and would be able to find in our local grocery stores. I’m always nervous when I get a new cookbook because we live in such a rural area and the selection is so poor for anything different from the norm. You also don’t need any special equipment. Some of the recipes will say that you can use a panini press but they also say that you can use a regular frying pan. Someday I would like to get a panini press, but for now, I’ll just be using my regular frying pan. It still does a great job and makes one mean grilled cheese sandwich! This is one recipe book I need. I love grilled cheese! Definitely my all time favorite! I had no idea there were so many ways to make a grilled cheese. I’ll definitely have to check this out. I’m really intrigued on the dessert ones! This post makes me so hungry! We actually had grilled cheese and tomato soup for dinner last night! This looks amazing! My boy’s love grilled cheese, and so do I! Wow Thanks for the awesome review made me hungry looking at your Lasagna grilled cheese, and now i am definitely interested since now i am the only cook since hubby went back to full time, i been looking for something different for lunch and dinner i am so exhausted now with daily chores, my life is all now cooking & cleaning and something stuffing and quick is not easy to create every day and we all love a good grilled cheese sandwich this is on my to buy list for sure i am excited to try different and again quick & easy recipes for my family, a huge Thank You. Fyi your new sweepstakes confirmation page is awesome , awesome i get great satisfaction to know my entry gets confirmed :). That book looks so good. We love grilled cheese with tomato soup at my house. I would love to try some different versions of grilled cheese. I am going to have to get this book. YUM! That sandwich you posted looks amazing. I like that this book lets you play around with flavors while still presenting it in a kid-friendly way–after all, who would say no to a grilled cheese sandwich? We love grilled cheese ..will have to try some of these. This book sounds perfect! As the oldest of 7 kids and a full-time University student, quick, easy and TASTY lunches are always a must! Definitely something to look into… ! Now that fall is (almost) here, we’ll surely be ramping up our consumption of grilled cheese. It goes great with tomato-basil soup. I’m especially interested to see the healthy grilled cheese combos, though the salmon gruyere one you mention sounds very intriguing. Learning shortcuts is always nice, too! Thanks for the review, Stacie. that sandwich looks heavenly, but you had me at the Salmon one! mmm, ok now I need to put this on my wish list! Yum! I love grilled cheese, I just had a cheese and turkey on french bread for lunch! I will have to check this book out! This sounds really great! We love grilled cheese, especially in the winter…just warm and comforting. It is my grandson’s favorite lunch and requested daily when he gets the chance. I had never thought about grilled cheese for dessert though, and that lasagna sounds like a must try. This book is a great way for a new take on the old classic. awesome! a whole book about grilled cheese? my son and step daughter would go crazy! WOW, I never would have guessed that there were 150 recipes for Grilled Cheese, I know 1-bread, butter, cheese,lol. I will definitely have to get this cookbook. Grilled cheese is my favorite sandwhich. This looks so good – we love grilled cheese, but we are so stuck in a rut with it, we always just do a typical bread and cheese – I love the thought of having so many more options for such a great sandwich! I tell my daughter she is going to turn into grilled cheese she wants to eat it so often. I may have to get her this book as a Christmas gift. The grilled zucchini & cilantro pesto sounds yummy! 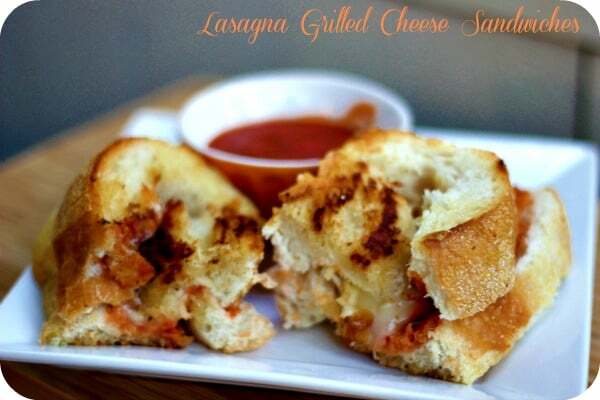 That Lasagna Grilled Cheese looks amazing! I’m such a fan of Italian food. How awesome to put such a unique spin on grilled cheese.